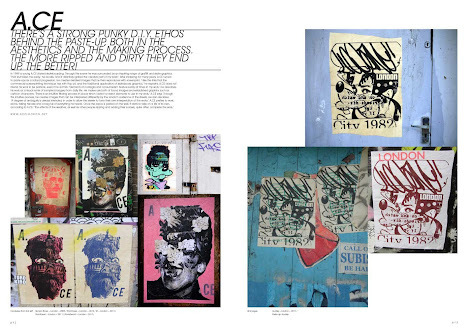 It's a Stick-Up is the first book to look at an increasingly popular form of street art: the paste-up or 'wheatie'. Many street artists don’t graffiti or stencil any more but use pre-prepared paper images that can be taken down, thereby avoiding a vandalism charge. The book shows the work of 20 artists, with photographs of their art in situ, a brief profile, and a fold-out paste-up. The fold-out pages are perforated so they can easily be removed. Some of the paste-ups will be laser cut with attaching tags so they can be popped out. 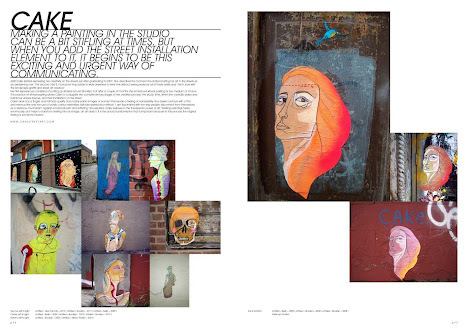 There's also an introductory interview with cult street artists Sten & Lex. Featuring the work of Paul Insect, Ludo , Morley,A.CE,Monsieur Qui, Pure Evil, Dain, WK Interact, EMA,Pablo Delgado, Kid Acne, SHN, Cake, Specter, BR1, Feral, Elbow Toe, Dale Grimshaw. The book is available now in major bookshops and online here on Amazon .